Many thanks to all of of the wonderful submissions for our Careers in Construction Essay Contest. It was tough to select two that shined above the rest as all of the entries were thought provoking and sincere in content. Congratulations to our selected Winners! Enjoy the movies on us! We cant wait to see what your future holds as each one of you is sure to shine brightly! Congratulations Dominic Montez our Grade 7-12th winner of the Careers in Construction Essay Contest. Great job! 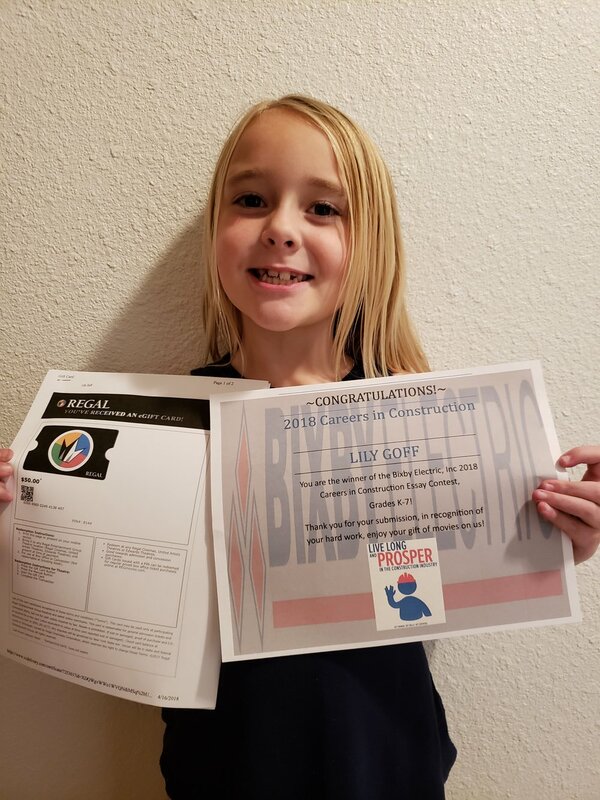 Congratulations Lily Goff our Grade K-6th winner of our Careers in Construction Essay Contest! Great Job!